Senior vice president of Commercial and Family Islands, Tellis Symonette, has said that the Bahamas Telecommunications Company is in the process of preparing a new package of services aimed at local and international businesses. The Bahamas Telecommunications Company (BTC) is set to relaunch its Enterprise package of products aimed at the business community within the next few months. According to the company’s senior vice president of Commercial and Family Islands, Tellis Symonette, the launch will greatly enhance the connectivity of business across The Bahamas, making it easier for them to connect with clients at home and abroad. 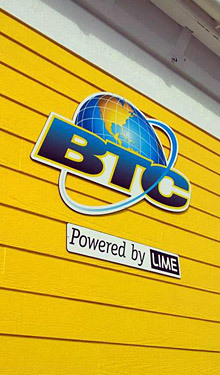 Since it was privatized in April 2011, BTC has committed to upgrading the broadband service throughout The Bahamas and invested $45 million in launching its high speed 4G network. Symonette said the company was working to make it easier to do business in The Bahamas–increasing connectivity between islands, so that those businesses with headquarters in Nassau, but with offices scattered throughout the archipelago, could communicate more effectively. He also highlighted the company’s $3-million investment in improving telephone services allowing roaming users of the Verizon and Sprint networks to use them while in The Bahamas. CFAL senior vice president Kevin Burrows warned against complacency during a recent seminar in Nassau held by the Bahamas Institute of Financial Services and said the sector must seek out new opportunities. The Central Bank of The Bahamas has released its Monthly Economic and Financial Developments report for May 2012. According to the report, the Bahamian economy maintained a mild growth momentum during the month, supported by ongoing gains in the tourism sector and foreign investment-led growth in construction output.